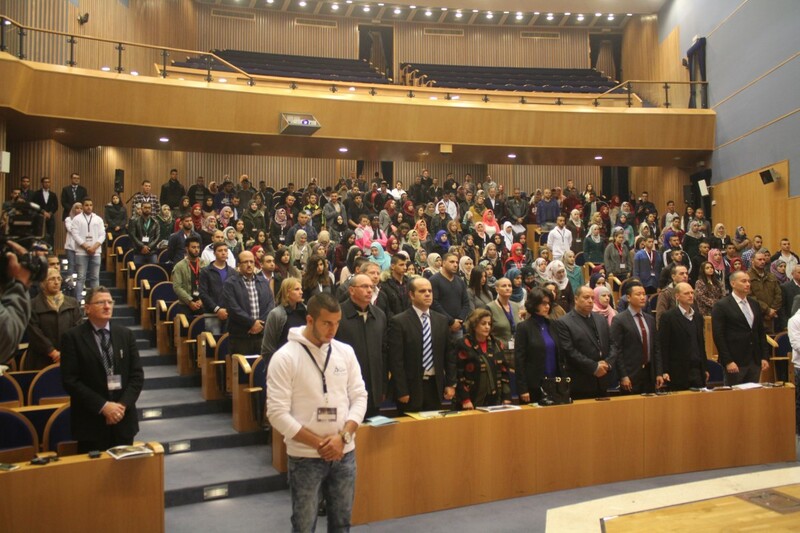 Burj Al-Luqluq Social Center Society and Pal-Vision celebrated the closing ceremony of the 4rth Jerusalem Youth Summit titled “Culture & Identity” in the Notre Dame, the New Gate, as they believe in cooperation and real partnership and responsibility towards serving the Jerusalemites. The Summit was organized with spirited cooperation between both partners, in addition to the Higher Council for Youths and Sports, Al-Quds University, The British Council, and Youth Development Department, with the support of a number of youth groups including Saned, Tick Media, Sunaa’ Al-Hayah and Lessa Mish Arfeen, funded by the Welfare Association and the UNFPA. The Youth Summit, attended by around 300 male and female students and a number of community organizations, aims to provide a platform for a wide and different groups of Jerusalemite youths and youth groups to discuss their issues, needs, ambitions and experiences, in order to improve their situation and direct them to positive ways from which they can benefit from their skills to enhance the Palestinian and Jerusalemite identity and culture.